Cancer is a complex and emotional diagnosis to receive. Many questions and concerns come to mind immediately after hearing a cancer diagnosis. Most patients and family members do not know where to starting making treatment decisions, as it is so overwhelming. 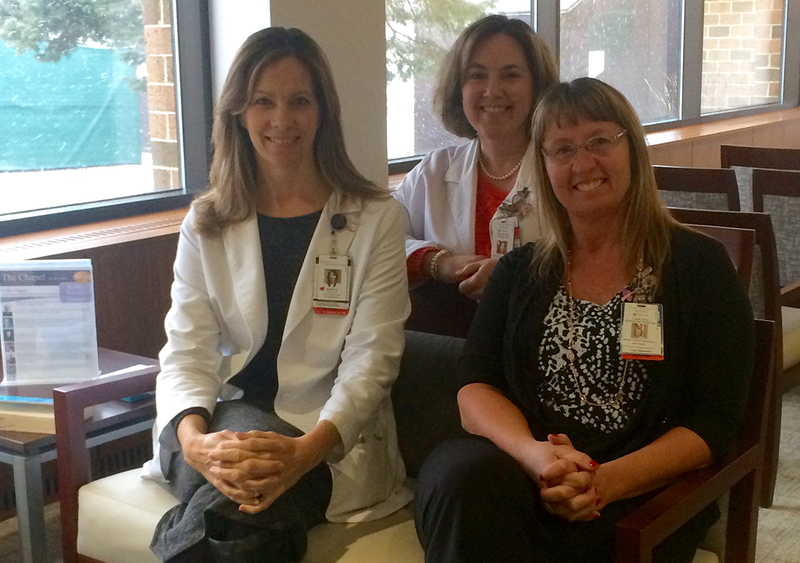 At Advocate Health Care, our Oncology Nurse Navigators step in to assist you along your journey to ensure the best outcomes. Advocate Oncology Nurse Navigators are trained and certified nurses with specific knowledge to offer individualized help to patients, families and caregivers. We offer this complimentary service at no cost to help overcome health care barriers and facilitate timely access to quality medical and psychosocial care. Our navigators are able to assist our patients through all phases of the treatment journey – from early diagnosis through survivorship. They can meet with patients during hospitalization as well as in the various outpatient settings. Our goal is to successfully navigate you through your treatments into survivorship so that we can improve your experience and ensure quality outcomes during this stressful time.